Green chili sauce is a must have in our house and while there are few good ones to be found in the store nothing beats homemade. Especially when we spend the summer with easy access to roasted Hatch chiles. Tell me they are world famous because around these parts we sure feel like they should be. You know green chilies get their heat from a drought right? Well my green chili from last year proves it and has put the biggest smile on my husbands face. Making homemade green chili sauce isn’t a daunting task yet one that I only do a few times a year. I make up to 10 batches at once in my canner and then portion off in 2-4 cup freezer containers at once. This is where my vacuum sealer comes in handy! Green chili sauce freezes really well and means I can have homemade green chili sauce ready in minutes for cube steaks with green chili sauce, cheese fries, green chili burgers, creamy chicken enchiladas, and even just a bowl of green chili with tortillas. It’s really hard to go wrong with green chili. This green chili sauce recipe comes to you originally from my friend Candice whole doesn’t truly know how grateful I am for finally having a good green chili sauce recipe. I have tried well over 100 of them in the past and they were either super complicated or were found to be lacking. This recipe made with hot green chilies (or mild if that’s your needs) leaves your mouth smiling and your tongue wondering when the next bite is going to come. 2. Saute onion until soft. Add in flour to butter mixture and make a roux (Here is a great tutorial on on how to make a roux). Add chicken broth to butter mixture and stir until smooth. 3. Add chilis, garlic, salt and cumin and simmer for 10-15 minutes. Hope you enjoy this family favorite green chili sauce recipe and I can’t wait to hear what you use green chili sauce for. If you don’t roast them first isn’t there a problem with the skins? The chilies are roasted when purchased. I’m sorry that it doesn’t make mention of that. Thank you for stopping by and I can’t wait to hear how it turns out. Do you seed your peppers before you chop them? I usually do. Sometimes a stray seed gets in. I usually buy a couple of bushels of peppers during the summer to seed and peel and freeze for the year. Do you have to roast your peppers to make this or could you just chop them up? And what is the difference between hatch chili peppers and Anaheim peppers? Sorry I’m just seeing this. You don’t need to roast them before you make this recipe. Hatch chili peppers are green chilies and Anaheims are another type of chili. I have often mixed the two for the recipe if I have a couple of Anaheims on hand that need used. I made this today. I had bought two cases of Hatch green chile last week. Roasted and froze the chile. I have been wanting to try to make a green sauce. This was the only one I could find that didn’t call for oil. And very similar to a red sauce I make with powdered chile. Not only was it easy. It came out very good. The only changes I made was I omited the cumin (hubby doesn’t like it) added an extra cup of broth (just becuz I wanted more sauce) uped the amt of chile to 2 cups and after it was done simmering I threw it blender to make it more of a sauce. I plan on making a big batch of this and freezing. It’s a really good simple recipe that can be used for different dishes. Thanks for posting! So glad you liked the recipe and I agree it’s easy to adapt to family tastes! I don’t actually can my green chilie sauce Gail as it’s not been deemed safe. I do make it in my waterbath canner because it’s the only pot I have big enough to make such a large batch at one time. Yum! I’m trying to get my in laws to ship me chilies this summer! Hey Jennifer come chile season Hatch Green Chile will actually ship https://www.hatch-green-chile.com/ Just thought I’d give you that website! That’s great to know! Thank you so much Amanda. I love this! What a great idea! I make green sauce with tomatillos, and frankly my husband gets tired of it. This is a great sub! And, would be so yummy on so many things! Thanks for sharing your recipe. I’ve pinned it to make it later. 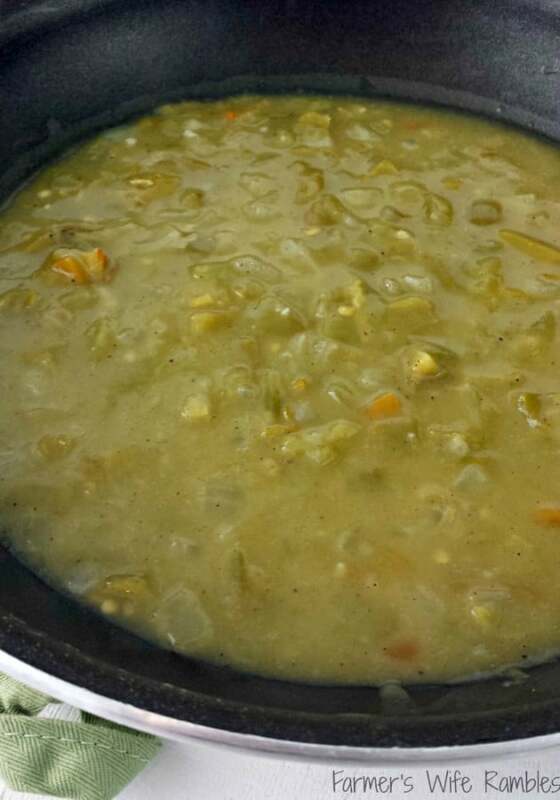 It’s my go to green chili recipe and we eat it on everything when I make a big batch. Green chili really does seem to go great on everything! Thanks for this recipe, I had no idea how to make a simple green chili sauce! Oooh! Definitely mouth watering. I love chili and I know I would love this! I have never had anything like this before! Love chili, I have never had green chili before, sounds great! Hummm…this looks tasty! I pinned to make to top enchiladas! I have never made green chili for my family. This recipe seems like a challenge I would like to take on. Ooh, this looks so good. Have never made it myself but will definitely try it now! I always love eating this at the Mexican Restaurant, but I have never tried to make it myself. Yours looks really good! I love green chili sauce on enchiladas. I have always bought it before, but I think next time I will make it using your recipe! We love green chile and this looks amazing! I have a recipe similar to this and we love it. I’m definitely bookmarking to try the next time I make chili! I love green chile sauce on my tacos! Never heard of a Hatch chili, but it sounds like a delicious recipe. My husband loves all things spicy. Yum, I love hot and spicy things! I AM A HUGE FAN OF THINGS LIKE CHILI SPICES AND THIS GREEN CHILI SAUCE LOOKS AMAZING! CAN’T WAIT TO TRY IT! Thank you for the green chili recipe, I have never made green chili in this way before. I love trying new things. That sounds really good! I have never had anything like this before, so I would love to try it. 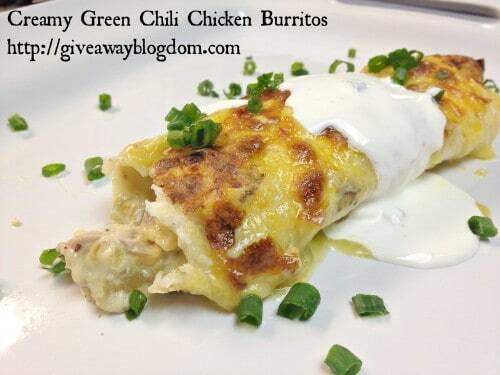 I’ve never tried Green Chili…but this sounds delicious…I think I might give it a shot especially with that Creamy Green Chili Chicken Burritos recipe! We don’t grow chiles much in northern New England, but I’ll be perusing the store shelves for a good option!